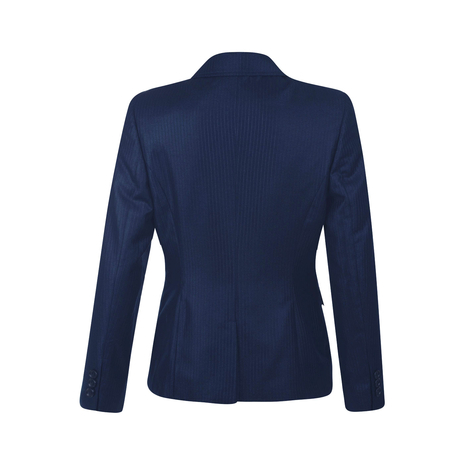 Gina is a petite navy blue tailored one-button jacket with a metallic finish. The fitted jacket has stylish buttoned lapels, double-flap pockets and a slit at the back to give added wearing ease. Fully lined with a three button cuff, it is on-trend with this season's shiny metallic look. Gina is a fitted style. Length from top of shoulder to hem is 59cm. Our model is 5'3" and is wearing a size 8. 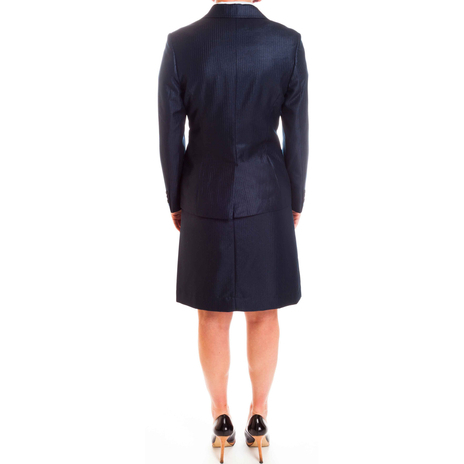 To ensure this petite jacket fits you perfectly, please refer to our size chart. COMMENTS : This is a nice fit again I'm delighted with the fit on the arms and shoulder. The material is shiny and that does makes the suit look a little cheap however I am going to keep it as it is so reasonably priced and fits so well. COMMENTS : Great for the office! Really well made for the price. Embrace the modern style of power dressing with a sheer suit inspired by designer metallic fabrics. Wear with the Gina skirt for the office. 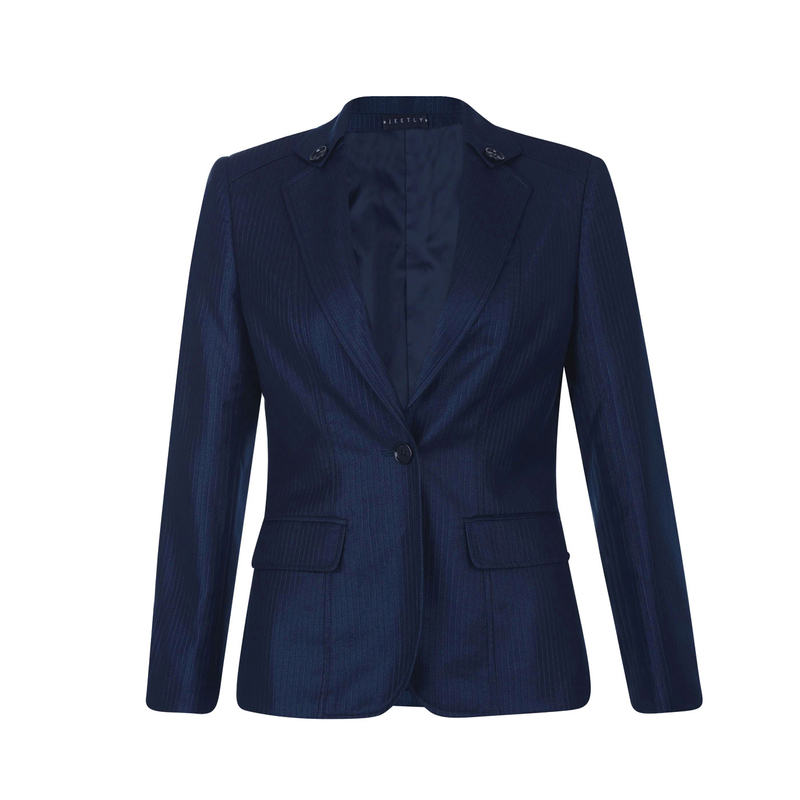 The Gina jacket looks great with jeans and a tee out of office hours, or can dress up an outfit when worn over casual dresses in contrasting fabrics.